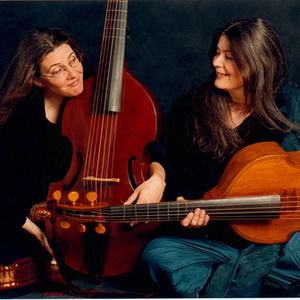 Les Voix Humaines (Margaret Little and Susie Napper) are a viola da gamba duo founded in 1985 in Montreal, Canada, and specializing in baroque chamber music. The duo's name, which means "human voices," is also the name of a composition by Marin Marais. Les Voix Humaines have recorded more than 30 discs and have received a number of awards, including the Diapason d'Or and the 2007 Opus Award for Quebec's Performer of the Year. Les Voix Humaines have recorded more than 30 discs and have received a number of awards, including the Diapason d'Or and the 2007 Opus Award for Quebec's Performer of the Year. The duo were the first ever to record all of Sainte-Colombe's Concerts ? deux violes esgales. They have toured North America, Mexico, Europe, Australia, New Zealand and Israel, performing with Wieland Kuijken, soprano Susie LeBlanc, flutist Barthold Kuijken, countertenor Daniel Taylor, and other noted musicians. In Montreal they lead the Voix Humaines Consort of viols and often perform with Matthew White's choir Les Voix Baroques.